William C. Jenkins is a Principal with Stonelake Capital Partners in the Austin office, where he is responsible for new investment evaluation, capital markets activity, and office and multifamily development. 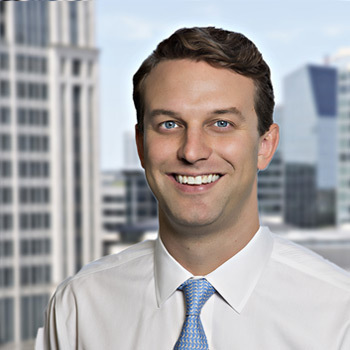 Mr. Jenkins joined Stonelake as an Analyst in the Dallas office in 2014. Mr. Jenkins focused his attention primarily on evaluating potential debt and equity investments across all product types and asset management responsibilities related to Stonelake’s industrial and multifamily portfolios. Prior to joining Stonelake, Mr. Jenkins worked as a Financial Analyst for Viacom, a global mass-media company, in their New York office. While at Viacom, Mr. Jenkins was a part of a small team tasked with restructuring the company’s shared service finance function. Mr. Jenkins received his undergraduate degree in Finance, with distinction, from the University of Tennessee.